Pixpa offers a 15 day free trial for you to try out our website builder platform. You can explore Pixpa, ask any questions from us and start building your website during this trial period. You can start your subscription whenever you are ready in the 15 days of free trial or even after your trial expires. 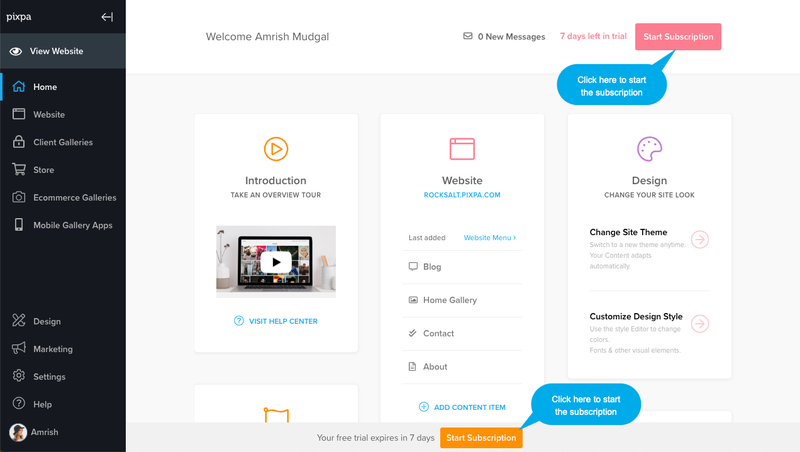 Your website will go live and be available to everyone once you start the subscription. Click on the Start Subscription button on the studio home or the bottom bar. This will take you to the Subscription page. 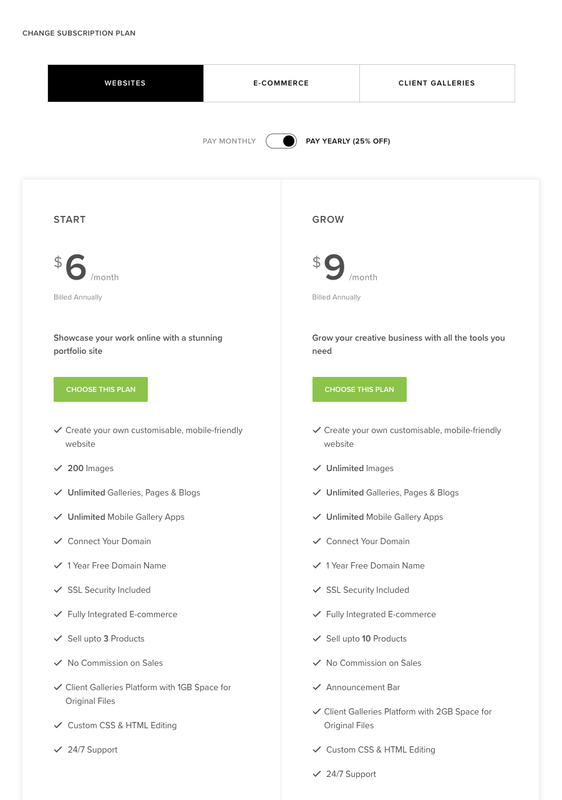 On the subscription page, You can select the plan that best works for you. To start your subscription, click on Choose this plan button. 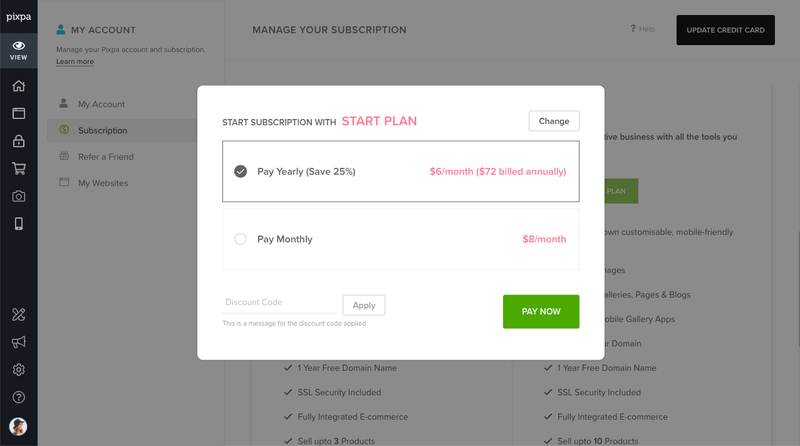 On clicking on choose this plan, you would see a popup where you can select the subscription cycle i.e. Monthly and Annually. And then click on Start Subscription button. 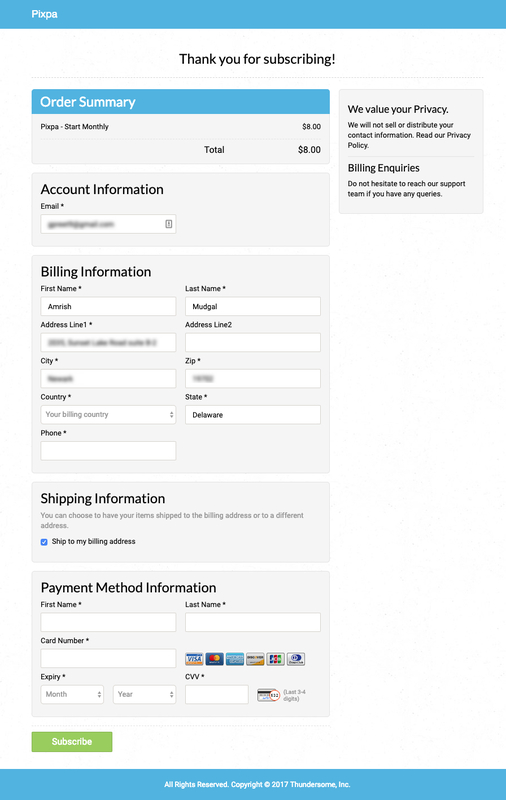 This will take you to the checkout page where you can submit your details (name, address, contact details and credit card details) to start your subscription. That’s it. You are done. Your account will now be upgraded to a paid account. Please note that all Pixpa subscriptions are recurring subscriptions and will automatically renew on their renewal dates.